Bonjour motheurfuckeurs! It's moi again, Monsieur Andre! I'm back in le house with moi oveursized head and massive forearms! Look at moi in this photo - I look like a feuking midget with a fat head! Anyway. I want 2 make love 2 u. Err, excuse moi, I mean I want to show you zis new t-shirt deezine I just did for Kitsune. 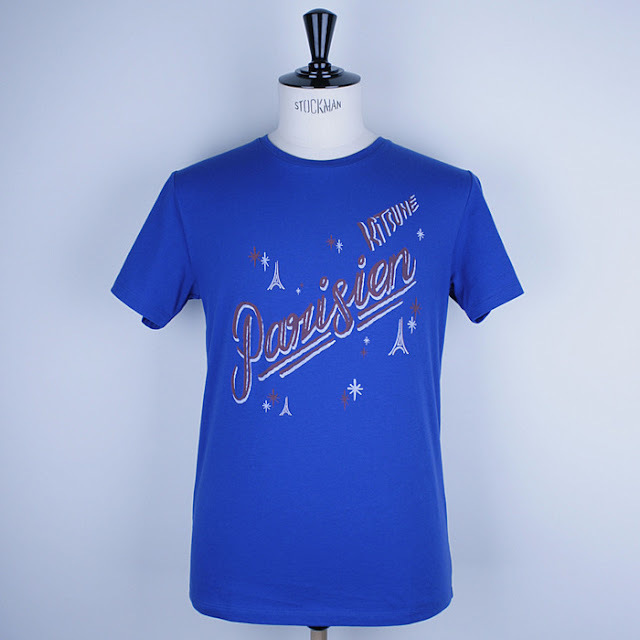 It says KITSUNE PARISIEN on le front. That means when in Paris you must undress in front of moi and put zis sheurt on. Then we will feuk and paint and feuk. This is moi in le eau du toilette. I racked a few lines of coke and drew moi famous Mr A tag. 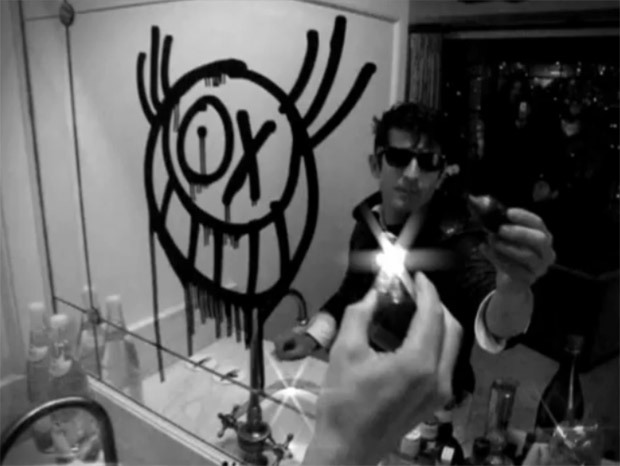 But I am caught in a paradox. Am I Andre le graffiti writeur, or Andre le fashion print deezineur? I am whatever le monei tells moi 2 be. Not your feuking role model. Wait wait, I'm naked. Let's feuk.